The registration of a trademark is territorial, that is to say that if you register your trademark in Argentina it will only be valid in this country, protection is National. At the moment in which a company or start up proyect decides to internationalize offering their products or services in another country, you will need to protect their trademarks and patents in the territory chosen to be fully protected. At the time of export, in a project budget the costs necessary for the protection of trademarks in the country of destination should be included. This study should be made before entering any market. The risk of entering and not having registered trademarks abroad could cause large losses of money and time with the aggravating circumstance to stop all operations including the risk of being exposed to very high cost trials abroad. In these respects, Gatti has special plans for registration of trademarks in several countries alltogether. They are tailor-made to the customer according to the case, studying the needs and priorities of each project. It is important to highligt that the registration of trademarks alltogether in several countries of America is one of our specialties. In this way we provide all the administrative and accounting work to our clients, concentrating all the documentation, payments and maturities in one place. Gatti has offices in Brazil and a network of partners around the world to assist you in the most appropriate way. We have a great experience at the international level that highlights our management making it tailored to our clients and adjusting the budget available to every need. Through the Madrid system is achieved a solution centrally to the registration and the management of trademarks in 113 countries, including the United States, China, Japan and major European countries. Simply submit a single application, in one language, and a unique fee to protect your brand in the territory up to 97 members. 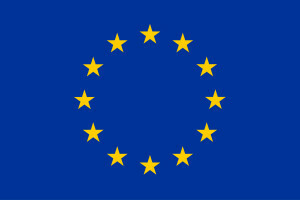 The mark of the European Union gives the applicant exclusive rights to all Member Countries of the EU, both current and future, through a single record. The duration of a Community trademark is 10 years counted from the date of the application, renewable for equal periods, indefinitely.